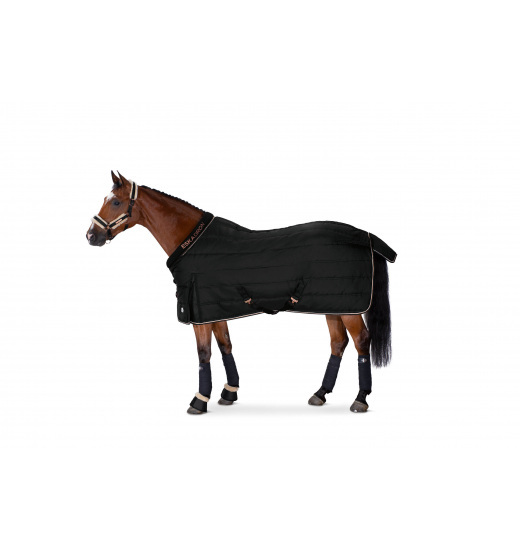 Stable rug made of the highest-quality durable fabric with 240g padding. 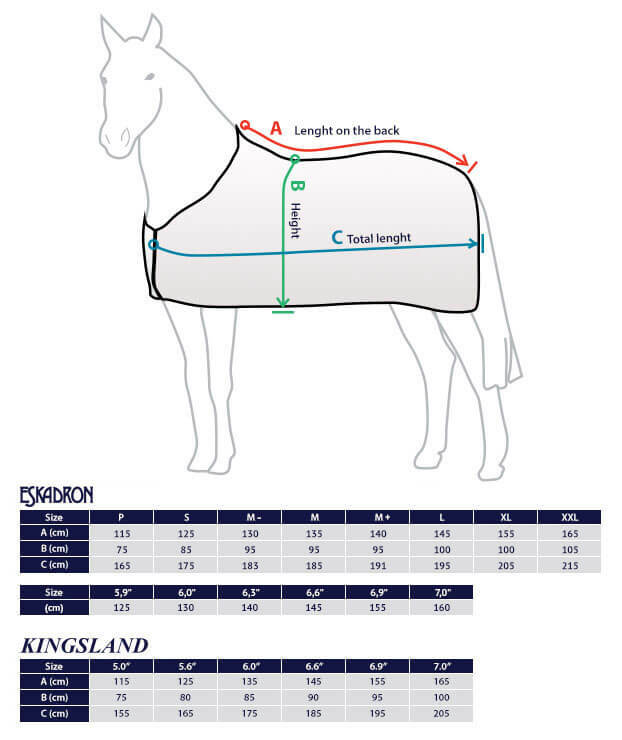 It has a high, well-fitted and softly lined collar and a tail flap. It is fastened on the front with two carabiners and cross straps on the belly. 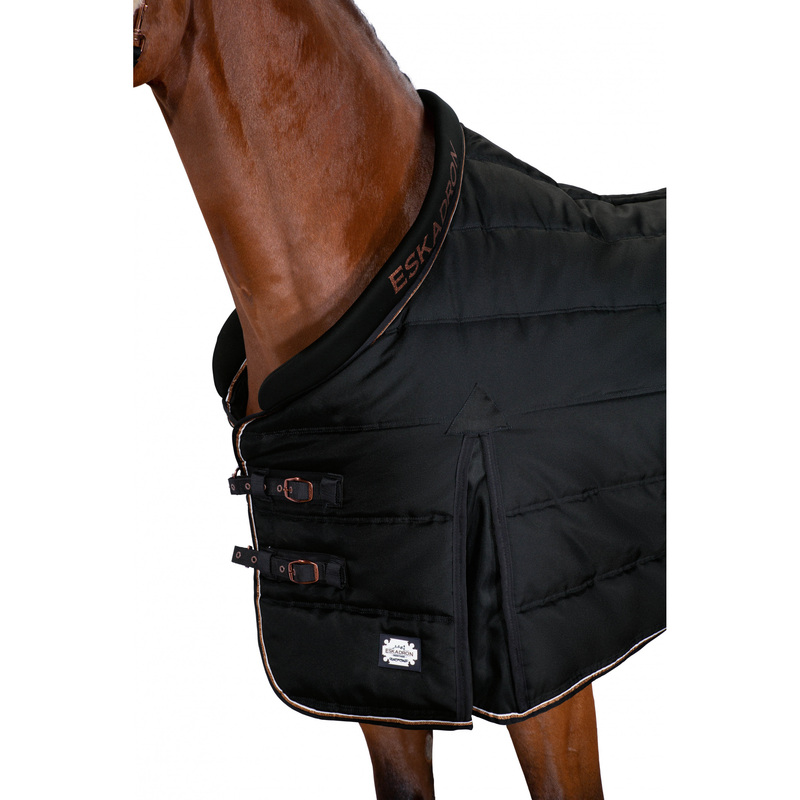 An especially designed tuck on a shoulder blade provides full freedom of movements. This rug is decorated with a trimming, Eskadron inscription on the collar, and an emblem patch.